The Elmhurst Real Estate Market is still pretty strong in June despite the lack of inventory. With the limited inventory buyers need to act quickly when a new listing comes on the market. 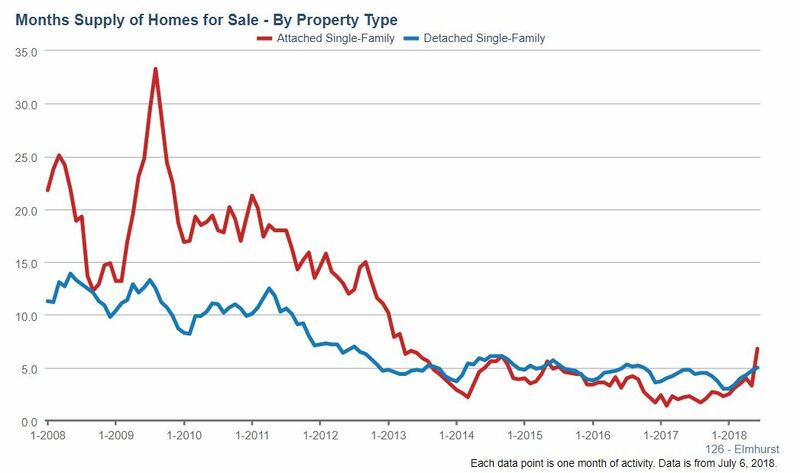 Single family home market times increased in June. Homes were on the market for an average of 85 days compared to 68 days last year at the same time, a 25% increase. The average time a condo/townhome stayed on the market was 118 days compared to last year when it was 68 days, more than a 73.5% increase. 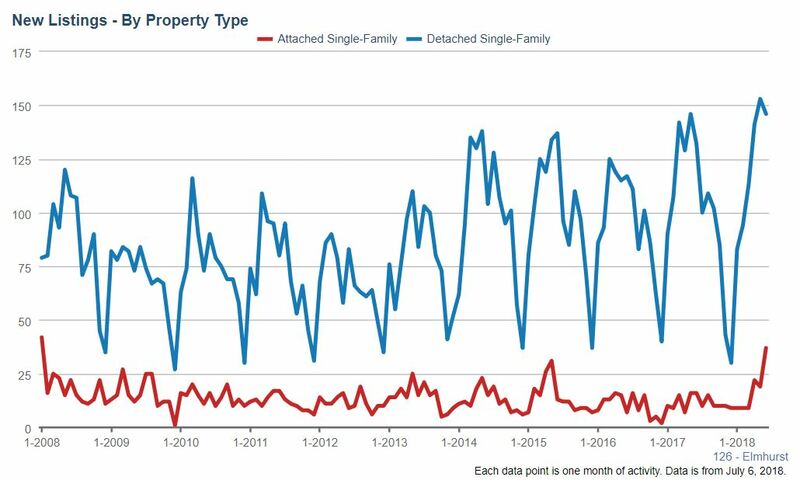 Single family home inventories in Elmhurst had a 5 month supply at the end of June, a 4.2% increase compared to last year at this time when the months supply was 4.8 months. The supply of condos and townhomes increased 195.7% in June with 6.8 months supply this year compared to last year when the months supply was 2.3. 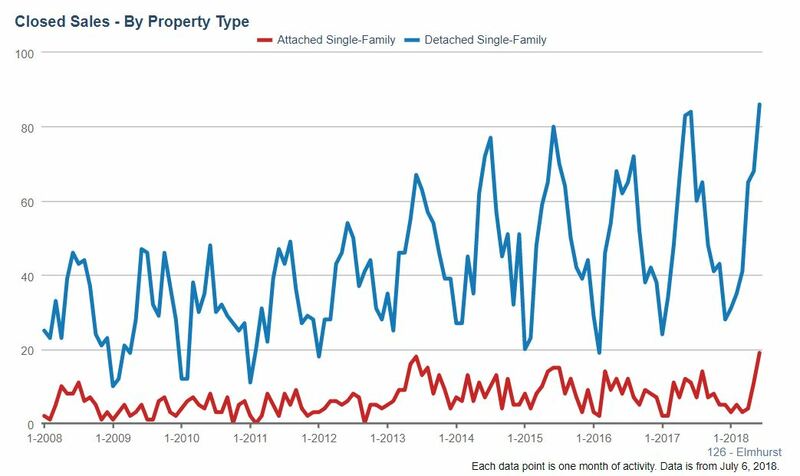 At the end of June there were 254 single family homes for sale in Elmhurst, a 2.8% increase from last June when there were 247 homes for sale. The number of condos and townhomes for sale increased 205.9% in June with 52 for sale this year compared to last year when there were 17 for sale. 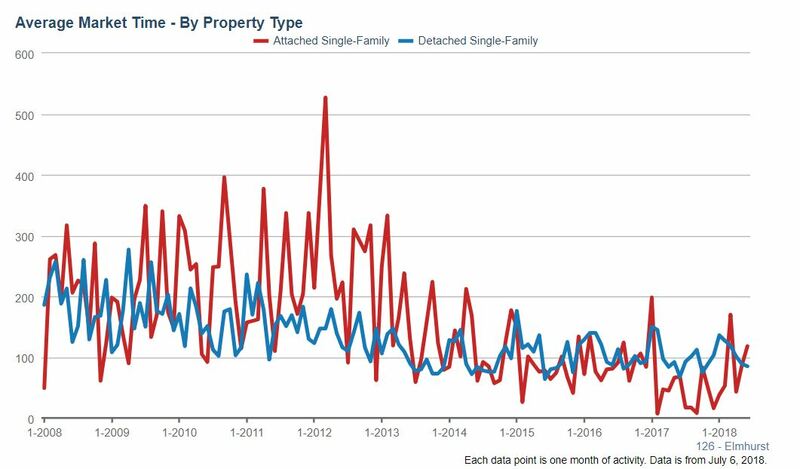 New listings saw an increase during June with 146 single family homes newly listed compared to the 132 listed in June 2017, an increase of 10.6%. Condo and townhome new listings increased more than 131% with 37 listed for sale this June compared to 16 the same time last year. 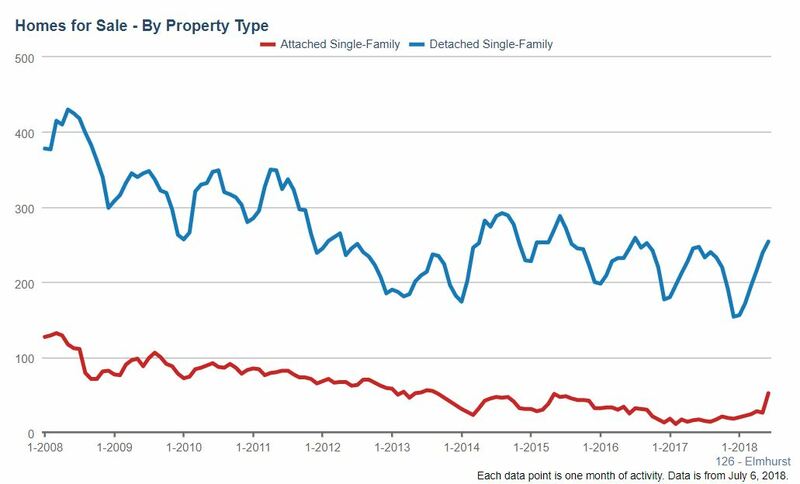 The number of single family home closed sales increased slightly with 86 closings this June compared to 84 last year, a 2.4% increase. Condo and townhome closings had a 72.7% increase in closed sales with 19 closings this year compared to 11 last June. The post Elmhurst Real Estate Market Conditions – June 2018 appeared first on Getting Real.